Advice of the Day for March 7th 2006! Today's quote is from a website. 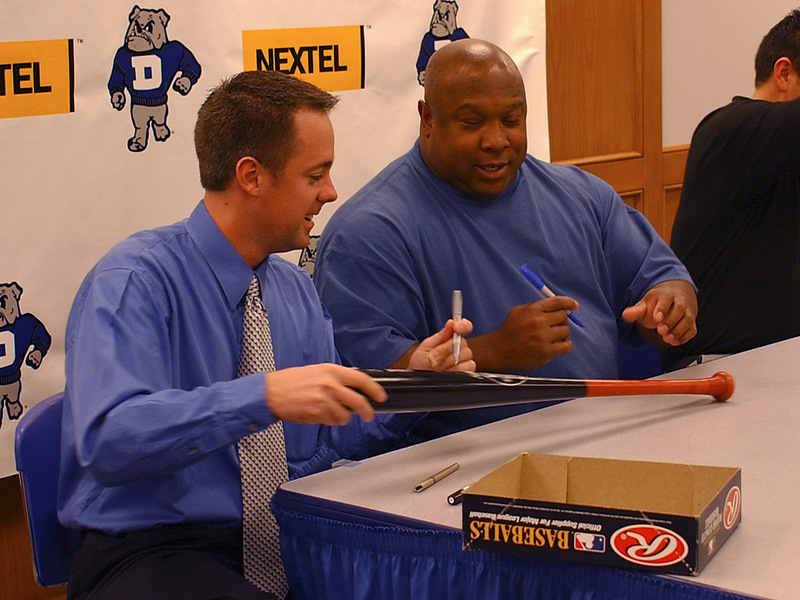 Kirby Puckett used to play baseball for the Minnesota Twins. He was well liked. After he retired some other stuff came out, but let's not focus on that. While he played, he may have been the most liked player in the majors. Then he had to retire early because he got glaucoma.... and as you can see from the picture, he started to gain weight, to the point where he was as in the above picture. What's the point of all this? Kirby Puckett was an awesome ballplayer, and even he had a very hard time keeping in shape, and he died of a stroke at 46. Try to make the time.